Matthew 5: 17 “Do not think that I have come to abolish the Law or the Prophets; I have not come to abolish them but to fulfill them. 18 I tell you the truth, until heaven and earth disappear, not the smallest letter, not the least stroke of a pen, will by any means disappear from the Law until everything is accomplished”. 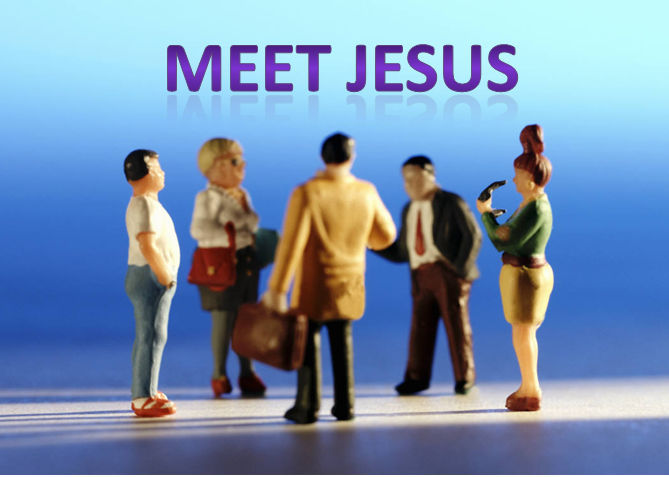 Jesus is committed to the full plan of God. Part of that plan is the law. Part of that plan is for the law to show us our inabilities and ways to live a better life. This law is detailed and damning and defining. There is no avoiding it. Even when we have not been taught the law, it will convict us of the need for a better life. On a plane headed home, the woman next to me convicted me. The memory scripture on which I was working talked about being wise with those who do not believe. Here she was, unbelieving. Here she was, looking for answers. Really, airplane chatter is tough for me. The noise and head stuffiness makes it hard to hear. What if the person is a bad conversationalist? The flight is 3.5 hours. Every excuse presented itself. The voice of the verse taunted my conscience. The entire flight, we talked. She asked about picking a good man, who would be a good father for children. She asked about finding her passion in life and living faithfully to it. She asked about relationships based on codependency. She was looking for some counsel. She was looking for a friend with the gospel. She was looking with a friend with knowledge of the law that builds a better life. ACT! Who is it that needs some light of the gospel? Yes, the law will convict you to find the gospel. Then it becomes a joy lived by the power of the gospel and the freedom of grace. PRAY! Father, Your law convicts me of the need for grace. Every day, I need grace. Every day, I need mercy. Any You provide it every day in every way. Grace to endure. Grace to rejoice. Grace to be alive. All of this is mine in Christ. Mercy to be free. Mercy to live with no condemnation. Mercy to enter Your presence as a child and ask for love and life. These are all mine in Christ. Keep me moving forward in understanding and obedience. Keep me open to live the Gospel so others might see and hear. There is a place of ultimate protection with the Father. Every earthly father seeks to provide the same. We are flawed. The Father is not flawed. Maturity brings self reliance. Until we live through storms bigger than our ability. Then we want to run for cover. The best time to run for cover is before the storm. Before the heavy storms in Oklahoma, a dove positioned herself on my porch, laid two eggs, brooded over them until they hatched, and then went into protection mode. The hatchlings gained size rapidly. It surprised me how big they became from inside those tiny eggs to birds in just a few days. But they weren’t able for the storms that were coming. They were not strong enough. 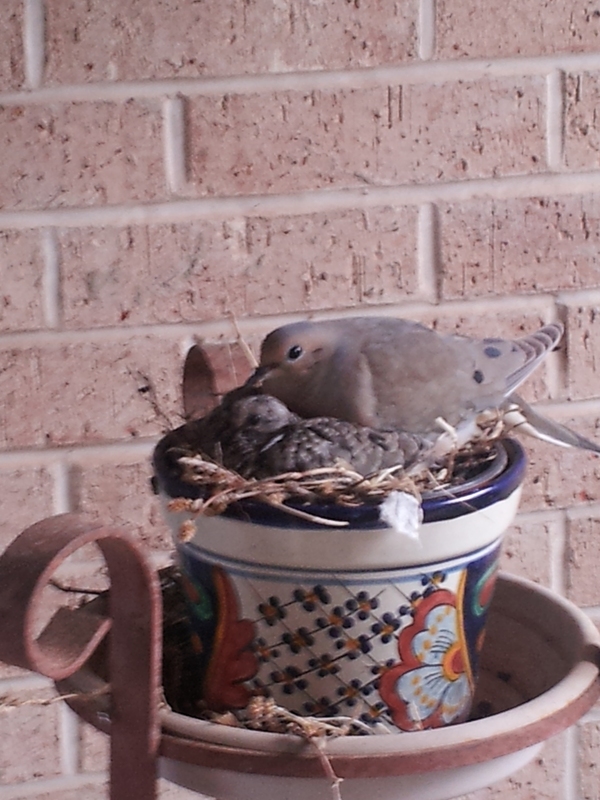 Every time I opened the door, momma dove would cover the hatchlings so they were invisible. All I could see was her. I did catch a quick glimpse a few times. She was ready for the storms. 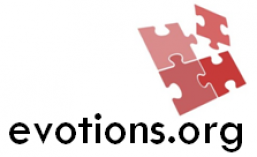 Taking refuge is an action. It means we decide to get up under Him and His love. The best time to do this is before a storm. Last year I spent two months reading the entire bible a book at a sitting. It was refreshing. It was enlightening. The day I finished storm clouds rolled. Several family members ended their journey on earth. The grief was intense. My work assignment made a huge transition. My wife and I flipped our car after hitting a bear on a Montana mountain highway. A car was stolen. On and on it goes. In a few weeks time, our world was shattered. Yet, we were under His wings. How wonderful it is to be under those wings. The storm is there. The pain is there. The loss is there. The comfort is there. The security is there. The confidence is there. My heart goes out to so many friends and neighbors with crashed lives in the storms that come. Homes, loved ones, jobs, and other items to which we attach our security are gone. It can happen to any of us at any day. When we are under those wings, it sure is easier. When we are exposed, it is hard. The Father is always ready for the storms. That momma dove took her hatchlings to more protective ground when the storms came. They are fine. God can do that for you. He’s done it for me so many times. Father, here is a friend. Here is a neighbor. Here is someone over which You brooded in their creation. Here is someone over which You wish to cover with Your wings. Make it easy for them, Father, to find that comforting place of respite in Your nest. Allow them to nestle up close and be overwhelmed by the immensity of Your comfort in a world of storms. The storms come and go, but Your protection comes and stays. Allow us our place beside You. Allow us our confidence in Your concern. Thanks, Father. You are amazing. John 9:5-7 As long as I am in the world, I am the light of the world. When he had thus spoken, he spat on the ground, and made clay of the spittle, and he anointed the eyes of the blind man with the clay, and said unto him, Go, wash in the pool of Siloam, (which is by interpretation, Sent.) He went his way therefore, and washed, and came seeing. Dirt gets in your eyes. Wow! How clearly I see! I never noticed the dirt before. Before building, it was there. Before losing, it was there. When dirt flies up, we rinse. The dirt was there before. The dirt of life is always there. Too bad we don’t rinse more often. Thanks, God, for days when dirt flys up. My prayer today is that the dirt of construction or destruction that may have risen in your life would be a blessing once rinsed. May it give greater light to your eyes to see what may have been hidden behind old and normal dirt. May you step into greater strength and greater wisdom, when dirt flies in your eyes. Matthew 5: 15: Neither do men light a candle, and put it under a bushel, but on a candlestick; and it giveth light unto all that are in the house.16: Let your light so shine before men, that they may see your good works, and glorify your Father which is in heaven. Night is a dark time. It takes candles to brighten. It takes light greater than the darkness. In our own homes, we need light in the evenings. Surely in our own house, we should shine brightest. Yes, darkness even will come on our own homes and families. They need light too. Oklahoma has been pummeled with storms. They take away our brightness. They cause days to be dark. They destroy what is good and healthy. In the darkness, we have more questions. Storms make day seem like night. Over the years, I’ve had companies close and shift management styles leaving me to scramble for the next assignment. Betrayals of trust rampant in the politics of power bring on dark adjustments. It happens. Life happens. Darkness can mask real value in life. Darkness can shade goodness so it is hard to see clearly. Beside the walk up to my front door are some battery powered lights. They are charged by the rays of the sun during the day. In the winter, they do not shine for very long in the evening as they get little charge. They are in a fairly darkened walkway, except in the Summer. One evening, I noticed they stayed on quite long into the evening. The sun had hit them more fully than it has for months. Days can change. We can change how long the light stays bright. Our light to the world is like those solar powered batteries. When we spend a lot of time with the Son, our light stays lit longer in the darkness. We are able to light up the darkness for longer when we spend longer with Him. God gets the credit as the source and energizer. 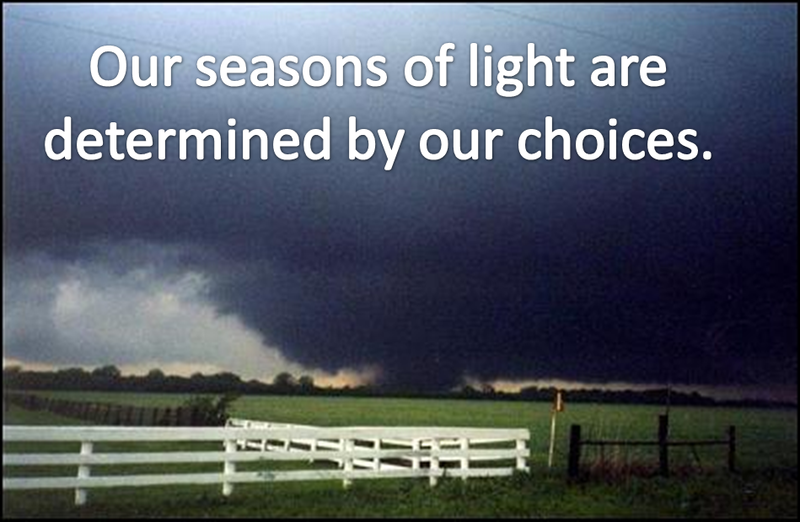 Our seasons of light are determined by our choices. No matter the source of darkness, our light can shine. Storms, seasons, and the shade of disappointment all create darkness. A little light helps us to see again the blessing and value and vital strength of life. Love of family did not move, it just is shaded for a moment. Strength of heart did not dissipate, it is just over in the corner under a cloud. Friends did not abandon, they just stepped into a darkened room for a day. Turn on the light. ACT! Take some time to get a full charge. If you have had more Winter sun than Summer Son, you need to actively seek His face. Take an extra 10 minutes a day this week to charge up on Christ. PRAY! Father, this is Your hour. Let us get fully aware and embraced by Your presence. Cause Your Holy Spirit to breath gently into our lives. Let the light of Your Son, Jesus to come into us and strengthen our souls. Help us to let that light then shine across our families, our homes, our neighborhoods, our workplace, and our community by your influence. Help us to see through the darkness into lighted corners escaping our attention. Show us value and blessing that is hiding in the darkness. Look for God’s smile in the issues of life.